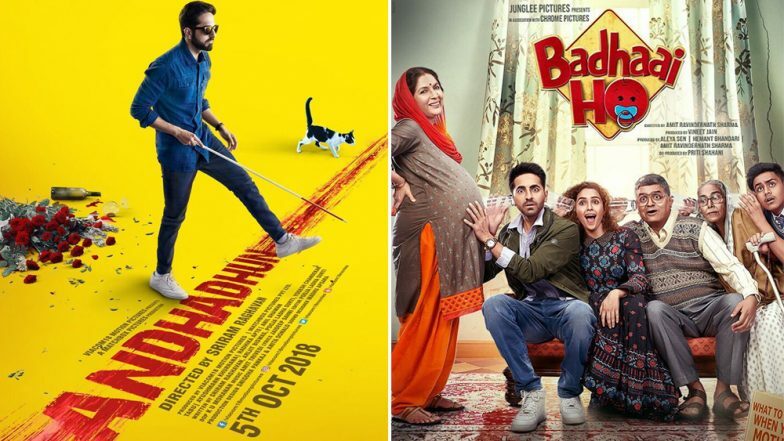 Badhaai Ho and Andhadhun lead with maximum nominations at Critics Choice Film Awards 2019. The nominations for the first ever Critics Choice Awards for Indian cinema have now been announced. The event was held in Mumbai after the Film Critics Guild and Motion Content Group joined hands to present India's first Critics Choice Film Awards. What's special about these awards is that after the most coveted National Awards, the Critics Choice Film Awards will be the only other ceremony where films from eight languages ranging from Hindi, Marathi, Gujarati, Malayalam, Tamil, Telugu, Kannada and Bengali will be honoured. Actress Vidya Balan and filmmaker-producer Zoya Akhtar attended the event announcing the nominations for Critics Choice Film Awards. The nominations for the 2018 Hindi releases included films such as Tumbaad, October, Raazi and Andhadhun among others. Among actors, there were certain surprises such as Vineet Kumar Singh for Mukkabaaz in the Best Actor and Taapsee Pannu in Mannmarziyaan in the Best Actress category which were not popular choices at the other award ceremonies. 64th Filmfare Awards 2019 Complete Winners List: Alia Bhatt and Ranbir Kapoor Win Top Honours. The ceremony is all set to be held on April 21. Looking at the nominations, it looks like fans, as well as performers who were upset with the Filmfare snub, can now look forward to the Critics Choice Film Awards for appreciation.